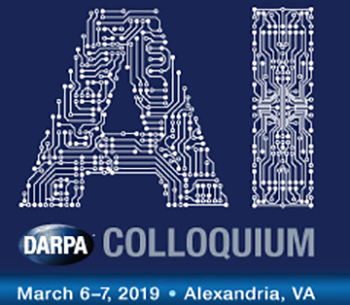 The Defense Advanced Research Projects Agency (DARPA) will host an Artificial Intelligence Colloquium (AIC) to inform the public of the range of DARPA research programs focused on advancing the state of the art in Artificial Intelligence (AI), as part of DARPA's AI Next effort. Inspire the technical research community to seek research and development partnerships with the Agency by sharing DARPA’s record of innovative achievements. As part of the AIC, DARPA will provide opportunities for sidebar meetings between selected AIC attendees and DARPA program managers (PMs) to discuss mutual research interests. AIC attendees will have the opportunity during the registration process to submit an abstract for sidebar consideration. 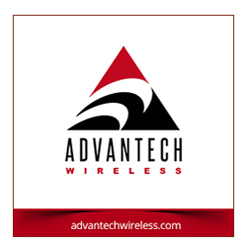 Registered attendees may return to their registration record at a later date to submit up to two abstracts. The deadline for submitting abstracts is 5:00 p.m., EST, on January 11, 2019.